After days of being blinded by politics I have finally been inspired and awakened by a topic near and dear to many American’s hearts – especially in Colorado and Washington state. Yes, I speak of Weed. Pot. Ganja. Mary Jane. Marijuana. In addition to 18 other states in which marijuana is approved for medical use (check also: Medical Marijuana in Canada), these two states will now enjoy the freedom of recreational toking, although is important to not use it when looking for a job or look for another solution, if you want to know more click this. If you are from Colorado and want to enjoy weed in the best way possible, Click here to check the best rasta pipes and herbal grinders. The plant’s natural homeland is thought to be the regions north of Afghanistan and the Altai mountains of Southern Siberia. Cannabis’ now widespread distribution is undoubtedly due to a combination of cultural and natural factors. Ganja refers to the inflorescences of the female plant, freed of their small leaves (as cultivated in the Himalayas). Early man experimented with all plant materials that he could chew and could not have avoided discovering the properties of cannabis (marijuana), for in his quest for seeds and oil, he certainly ate the sticky tops of the plant. Upon eating hemp, the euphoric, ecstatic and hallucinatory aspects may have introduced man to an other-worldly plane from which emerged religious beliefs, perhaps even the concept of deity.The plant became accepted as a special gift of the gods, a sacred medium for communion with the spiritual world and as such it has remained in some cultures to the present. Hemp spread across China to Korea, Japan, and on to the Mediterranean and Europe (Roulac 27-30). In the New World, Bibles, maps, and linens were made of hemp. We have almost all heard that George Washington and Thomas Jefferson grew hemp, and the first two drafts of the Declaration of Independence were written on hemp paper (Roulac, 32). [xiii] About a century later, hemp and Cannabis began to slip out of the newly acquired grasp of the people. Cannabis prohibition [in the U.S.] began in 1937 and drug hysteria heightened during the Depression with the infamous reports of “reefer madness” beginning to surface in media coverage around the country. One unchecked distributor of this baseless hype was the Hearst Press (Pendell, 195). All manner of crime was presented through “true stories,” as having been the result of Cannabis use. From a statement by Henry Ford “Why use up the forests which were centuries in the making and the mines which required ages to lay down, if we can get the equivalent of forests and mineral products in the annual growth of the fields? I know from experience that many of the raw materials of industry which are today stripped from the forests and the mines can be obtained from annual crops grown on the farms .Industrialization of crops will also have the advantage of making a considerable saving to the manufacturer who earns how to accomplish it. 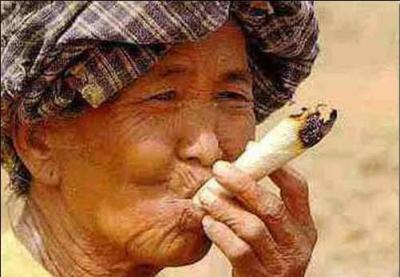 A Nepalese myth tells how the aphrodisiac powers of the divine plant [Cannabis] were first discovered. Shiva…lived with his heavenly wife Parvati in the Himalayas, the roof of the world. He never stayed at home, however, but went into the mountains instead, where he amused himself with divine nymphs and played with alluring goddesses. This did not please Parvati. And so she searched for a means of binding her husband to her and their house. She found a hemp plant, and took its resinous female flowers. When Shiva returned home, Parvati gave him the hemp to smoke. Shiva was immediately stirred by joyful arousal and an unprecedented desire for his wife. The two joined together in heavenly bliss. Shiva experienced that sacred ecstasy that would later open the doors of paradise to his devotees. After this, Shiva remained with his wife. And whenever the two conjoined, they smoked hemp. This is why hemp is considered the best aphrodisiac. It was given to humans so that they could live forever in happiness and domestic peace. The prohibition of Cannabis, when viewed from a structural anthropological perspective, presents a subtle male / female dichotomy that demands attention. Cannabis in ancient, probably kin-based societies, was represented as a goddess. Paternalism, Patriarchy and the Capitalist Mode of Production have insidiously attempted to destroy the goddess in mythology and in practical applications in our superstructure, structure and infrastructure. Cannabis is believed to be the most widely consumed “illegal substance” in the world….people use Cannabis because it works. Every country shelters a Cannabis culture; be it in the open or underground, in a closet or out in the yard, Cannabis grows nearly everywhere humans have settled as a result of its virtues. So, whether you believe in the patriarchal / capitalist theory of marijuana’s persecution or not, the sociocultural evidence of Marijuana’s ubiquity since the dawn of time and global prohibition since the dawn of industrialization is kind of right in our faces if we dig deep enough. But as culture has been evolving we have been seeing the re-emergence of female influence in government, the increasing presence of female leadership in corporate America as well as a more empathetic, gender-balanced human cultural mindset. We are becoming more accepting of traditionally “feminine” ideals like empathy and nurture as gender roles shift with a growing global economy and the need to live in a more sustainable manner as we hope to continue to thrive on this planet of ours. So, maybe as we find our way back to the anthropological concept of the “goddess” so to will we reverse our prohibition of those ancient herbs with a feminine mystique. 😉 Or maybe we will all just get so fed up with the state of the world that legalizing weed will be the only way to keep us from blowing each other up. Either way, the peace pipe wins. Maybe now-a-days it’s the vaporizer of peace wins. ‹ PreviousRomancing The Senate: When Did The Business Of Government Become About Love? Nice work with the citations. 😀 And interesting take on the dichotomy of the accepted genders in society. It would seem that it does play a major role in this issue (I know Kate Bornstein would definitely say it is the case).